Winner of this year’s prestigious Palme d’Or at the Cannes Film Festival, legendary filmmaker Michael Haneke’s Amour tells the story of an octogenarian couple living in France. 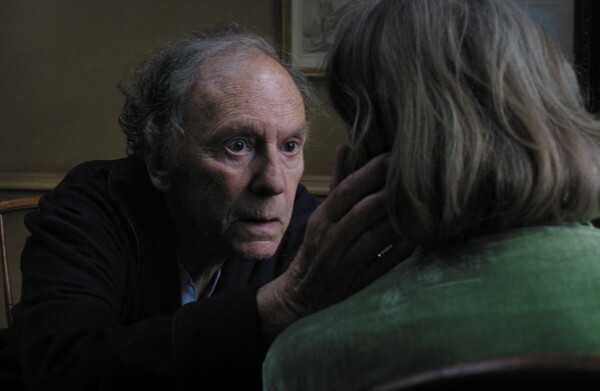 After Anne (Emmanuelle Riva) suffers multiple strokes, her devoted husband Georges (Jean-Louis Trintignant) loyally stays by her side, caring for her throughout the duration of her deteriorating health. Amour tells a simple, truthful, emotional, tragic, haunting, and beautiful story—one that is likely to remain with the viewer long after the end credits roll. Both veteran French actors Riva and Trintignant offer exceptionally brave performances, only achieved by baring every bit of themselves to each other and on screen. Though the film’s pacing is slow, it reflects a feeling of quiet sadness that hangs heavily over the couple’s Parisian apartment. Amour is Austria’s official 2012 Oscar entry for Best Foreign Language Film and is considered an easy favorite for a nomination.